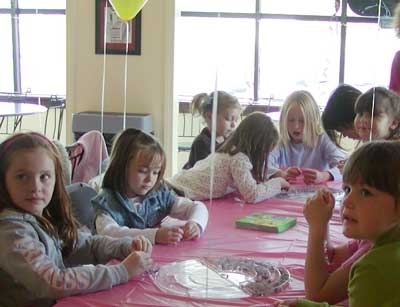 If you feel overwhelmed at the thought of planning a child's birthday party, you're not alone. But don't panic - just take a deep breath, get organized, and allow yourself time to plan a simple but fun theme party for your child. You don't need to spend a week's grocery budget on invitations, decorations, food and favors. Simple and home made goodies are just as much fun and they won't destroy your budget. What's most important to kids about their birthday party? Having their friends together all at the same time to celebrate and play! It's a birthday party and the kids will be ready to play - you can organize a few games and they'll probably devise their own entertainment as well. You don't need to try to compete with the neighbors or your sister's kids' party ... kids don't notice, and it's really not a big deal. They want to have fun and eat birthday cake. They want to see the gifts and they're delighted with simple decorations that follow a theme. Cute favors are a nice extra, and you can include those as part of the treats. Plan the party to last about 2 or 2.5 hours total time, from first guests arrival to last child waving good-bye. Organize that time into blocks of structured activities including free play, a party activity, a snack or lunch and of course cake and ice cream. Allow plenty of time for opening gifts and cards, and for a game or two, depending on the children's ages. Select a party theme, and create a guest list. It's better to have only a few guests for younger children. There's less chaos and less expense, plus you can focus more on the group when you keep the guestlist small. Next make a menu if you're serving lunch and a list of the food and decorations or supplies you'll need. When you head to the store to shop, leave the birthday child at home ... and don't be tempted by the displays in the party store that don't fit your theme or your list - you'll blow your budget on stuff you just won't need. Keep it simple and on theme, and avoid distractions while ou're shopping for food and decorations. If you're baking the cake or cupcakes, make and decorate it the day before the party. If you're buying the birthday cake, order it a week ahead of time and arrange to pick it up the day before the party. If you can decorate the party room the day before, that's great. If not, do your decorating early, on the morning of the party. Prepare as much of the food and the party favors ahead of time. Favors can be assembled a week before. Lunch or snacks can be prepped the night before the party. On the big day, arrange to have at least one other adult or a teenager to help you out. One person can keep the kids organized while the other is getting snacks, preparing for the next activity, or cleaning up any spills. At the end of the party, be sure to help your child thank each guest for coming and say good-bye to each one individually. Are you overwhelmed just thinking about planning your child's birthday? Simplify your life and opt for a "less is more" kind of party.